That dorm room rug is too bright. Those area rugs are too busy. This dorm carpet is just right. Your college dorm room doesn't have to be brightly colored or intensely patterned to stand out. Sometimes simplicity is best. 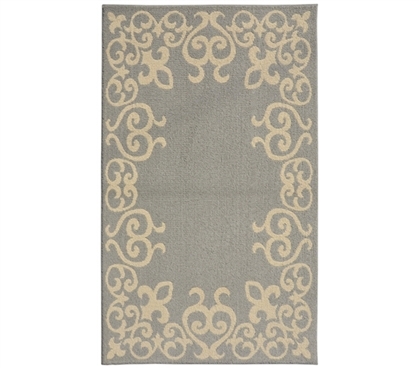 The Bordeaux College Rug in Silver and Ivory will keep your dorm room decor simple enough that your mind will be free to focus on other important things, like say, your studies! Creating a relaxing atmosphere in a dorm can be tough, especially with the brightly colored college decor that is so prominent in today's college decor market. 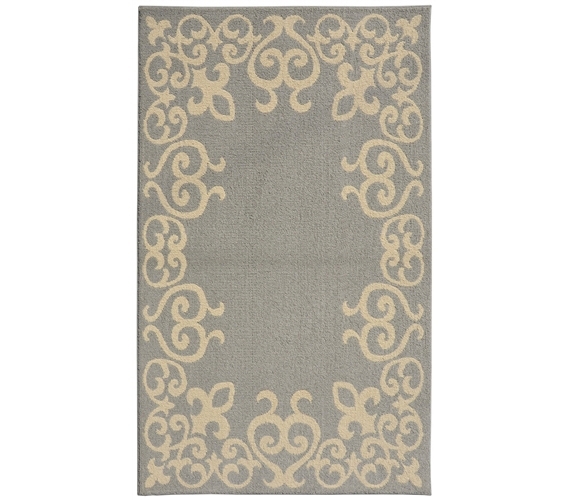 However, with The Bordeaux College Rug in Silver and Ivory you can take a step back and relax in a room that is inviting and calming. And with a generously sized 5' x 7' college dorm room rug, your floor will be mostly covered, so that you can walk around with bare feet and truly embody the Zen feeling you were going for.